The recent discovery of Hydrocarbon resources at Tamar & Leviathan Gas Fields (Levant basin) in the Eastern Mediterranean has brought about serious turmoil and deficit of a concrete internal and external policy by Israel and its neighbors to bring about a positive outcome without exacerbating the existing conflicts. “Uprisings and violent repression in Syria; the risk of war between Israel and Iran; profound uncertainty in Iraq; the withdrawal from Afghanistan; and incomplete transitions in Tunisia, Libya, Egypt, and Yemen together” (1) would make it difficult for the entire region to protect its internal peace and commercial interests. In this circumstance, the Washington involvement in this issue makes the picture a little complicated due to two important factors: Firstly, Israel’s primary interest of exporting gas to Europe would not seek supply routes via Turkey while encouraging cooperation with Cyprus and Greece. Secondly, “Israel, Cyprus, and Greece have all courted Russian investment in their energy sectors” (1). However, Washington would never wish the Turkish doors to remain closed while supplying gas to Europe if the politics of Israel permits and at the same time the Russian involvement in the energy sector would not be encouraged which would undermine the European efforts to diversify energy resources. Over the years it had been observed that since 2004, the Houston-based Nobel Energy had been controlling 47% of stake in Israel’s offshore Mari-B field that produces gas in the Israeli domestic market. Nobel initial production agreement with Israel suggested a regulated tax frame work until 2010 when the “Israeli Finance Ministry commission recommended raising taxes on energy production to bring them into line with current international practice, recommendations that the government of Prime Minister Binyamin Netanyahu subsequently endorsed”. 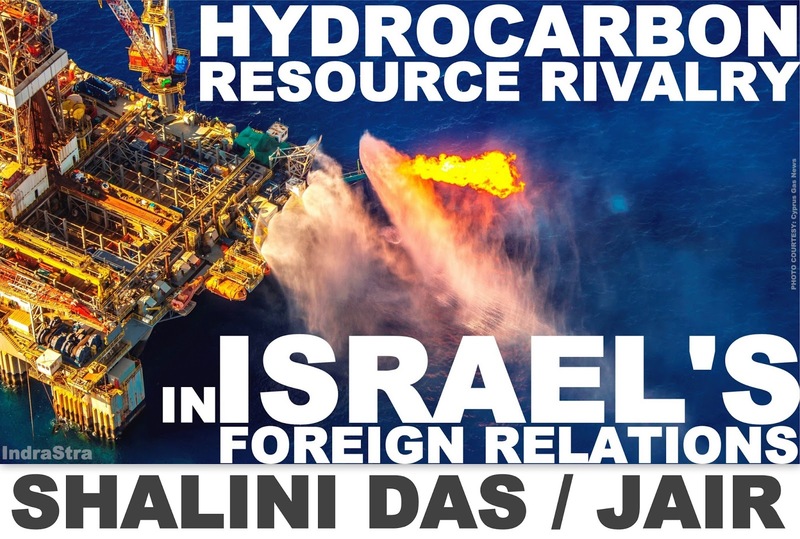 (2) In the light of the above factors, it can be discussed that there is a high possibility for Israel to either collaborate with a European sector or a US-firm, Russia’s Gazprom, Novatek or Chinese National Offshore Oil Company (CNOOC) due to the fact that the Israeli companies lack experiences in brining resource into market from offshore, further, “Russia has close ties with Israel, Cyprus and Greece. Around 1 million of Israel’s 7 million citizens are immigrants from the former Soviet Union, including many prominent business people. Moscow views the Republic of Cyprus as an important partner and continues to back it in disputes with the “TRNC” and Turkey” (1)which has created a serious pressure on the US Government. The region of Eastern Mediterranean and Southern Europe has become an area of internal conflicts especially with regard to the position of Turkey in the region which happens to be the only Middle Eastern country playing its role in the region. However, the recent developments state that the relations between Israel and Turkey are improving which is being possible through negotiations and talks. However, with regard to Israel, the foreign policy is observed from the position of security interest and internal conflicts between the Palestinians have become a serious issue of concern because of the fact that thousands of rockets fly from the Gaza strip every day into Israel, making the area prone to trouble. Further, the Israeli army is aiming for protection against the Palestinians from the Gaza strip which has become a serious problem for the Israelis due to the fact that she has to supply goods to Gaza to provide assistance to the people in the region because not everybody in Gaza are Palestinians. Hence, internal problems of Israel is affecting her foreign relations as a result of which both Russia and USA are trying to pave their way into the matters of the Eastern Mediterranean and the way in which Israel should carve out her foreign relations with Turkey. Further, with the position of Turkey, it is important to note that its position in the region is a prerequisite because of the fact that firstly it is the only Middle Eastern player in the zone and secondly if Turkey tries to alienate itself from the region, there will be less chance of success for the coalition.